Instead of £1,344.00. You save £67.20 due to the online discount . 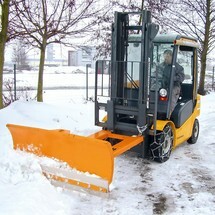 The BASIC fork lift snow shovel is an inexpensive and easy solution for snow clearance. Fork pockets allow for quick attachment via the forks. In addition, the shovel design enables it to be adjusted for left or right-sided use in 1 stage. 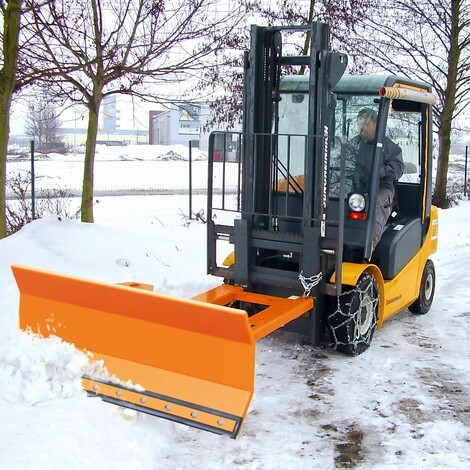 The BASIC fork lift snow shovel enables fast clearing of traffic and transport routes on your company site. The blade can be adjusted for left or right-sided operation, making it flexible to use. 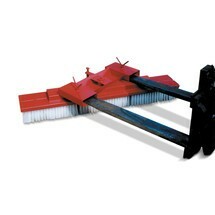 The rubber scraper can be used on both sides and is easy to mount. A chain is attached at the fork pockets to secure the snow shovel before use. 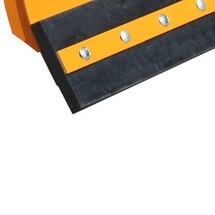 The snow shovel is available in a galvanized and a painted version. Buy the BASIC fork lift snow shovel from our shop.